Miguel D. Pena - Spector Gadon Rosen Vinci P.C. Miguel D. Pena is admitted to practice law in Pennsylvania, Delaware and Florida, and practices primarily in the areas of estate and trust planning, including the formation of revocable and irrevocable trusts, directed trusts, asset protection trusts and special needs trusts. In the context of estate planning and business succession planning, Miguel assists clients in the formation of limited liability companies and other entities and their relevant governing instruments. His practice also includes working with clients, including individuals, banks, trust companies and non-Delaware attorneys, to assist in the transfer of the situs of trusts to Delaware and the modification of trusts to comply with Delaware’s advantageous trust laws. Miguel reviews trust agreements and provides legal advice regarding the validity of trusts under Delaware law. He also assists clients in matters relating to the administration of trusts and estates in Pennsylvania, Delaware and Florida. 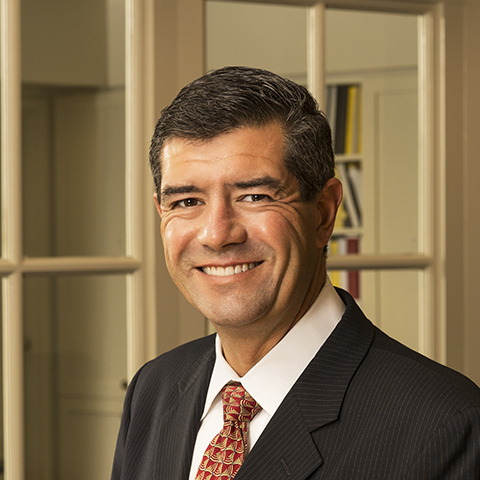 Miguel is a past Chair of the Estates and Trusts Section of the Delaware Bar Association and a member of the American Bar Association, the Pennsylvania Bar Association, the Delaware State Bar Association and The Florida Bar. He is the author of a chapter titled “Delaware Qualified Dispositions in Trust Act” appearing in Bogert’s The Law of Trusts and Trustees (2017) and has provided expert testimony in estate and trust litigation matters before the Delaware Court of Chancery. Miguel is a frequent speaker on matters relating to trust and estate planning and administration. He received a J.D. and LL.M. in Taxation from Villanova University School of Law and a B.A. from Franklin & Marshall College. Miguel has received a rating of AV Preeminent® by Martindale-Hubbell®, the facilitator of a peer review rating process. Ratings reflect the anonymous opinions of members of the bar and the judiciary. Martindale-Hubbell® Peer Review Ratings™ fall into two categories – legal ability and general ethical standards. J.D., LL.M., Taxation, Villanova University School of Law, Villanova, PA. B.A., Franklin & Marshall College, Lancaster, PA.